Katie provides an effortlessly professional yet relaxed experience, creating a bespoke look to compliment you and your personal style. 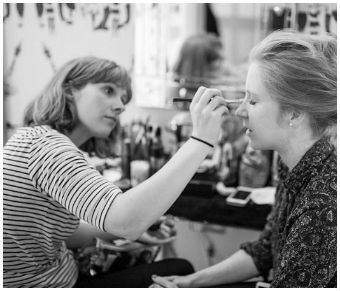 Katie draws upon over nine years' experience in fashion, film and bridal make-up and has a beautiful portfolio should you need some inspiration. Using a wide selection of luxury brands Katie takes the time to perfect your look ahead of the big day, so when it arrives you're feeling calm, reassured and looking your best.